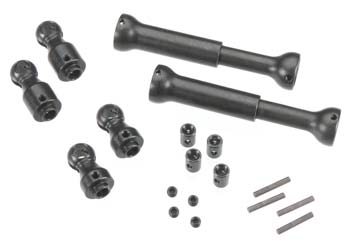 MIP Spline Center CVD Kit for Axial Wraith vehicle, replaces stock plastic drive shafts with a high quality drive shaft kit that requires no vehicle modification to install. • Hardened High Strength Alloy used for high power electric systems. • MIP Spline Technology to accommodate different variations in chassis length. • 100% Quality made in the USA!